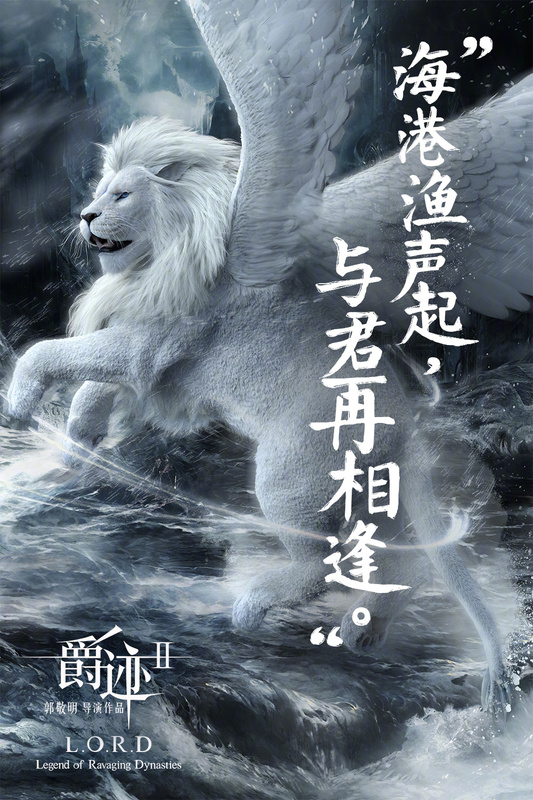 I bear bad news about Legend of the Ravaging Dynasties 2 爵迹2 which was initially scheduled to premiere on July 6, 2018. With its predecessor failing to live up to the hype, there was already the question of whether a sequel would get made in the first place. Then there was light at the end of the tunnel when the movie did get made and promos swung into full force for the upcoming premiere. We've only got less than two week until the date, but alas, it was just announced that the movie has been postponed along with a curt explanation citing issues with production. 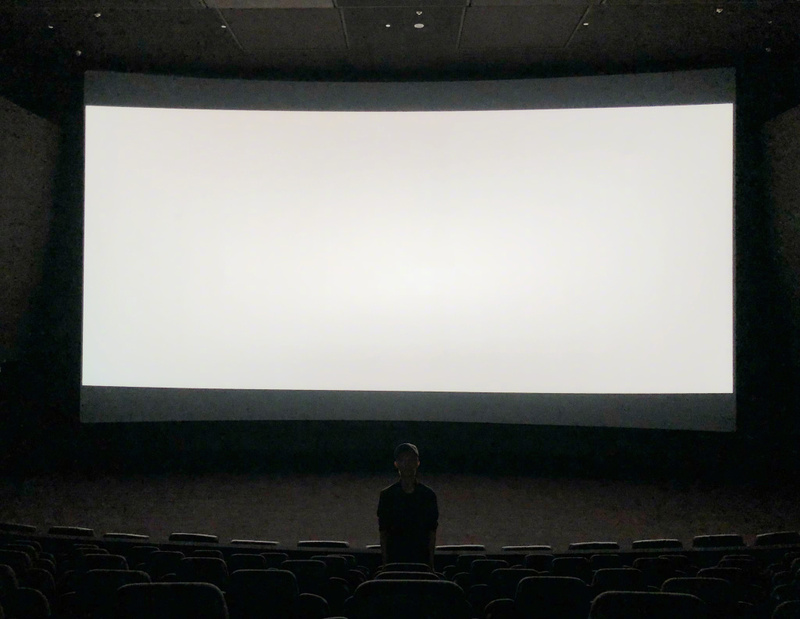 Author, director and writer Guo Jingming expressed his dismay via social media as he posted a picture of himself standing inside a dark and gloomy theater completely alone. It's unfortunate really. I was waiting for this, and the visuals have pretty impressive. 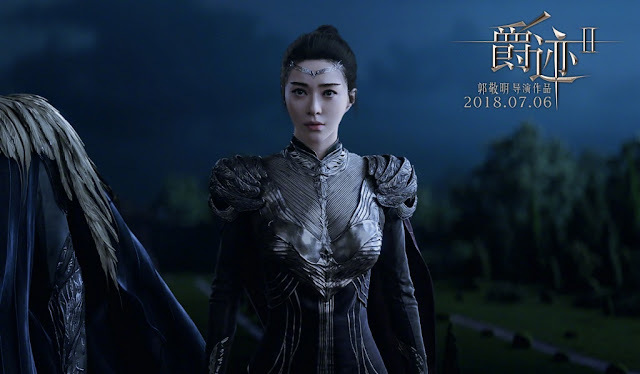 It stars Fan Bingbing, Kris Wu, Cheney Chen, Jelly Lin Yun, William Chan, Amber Kuo and TFBoys Roy Wang Yuan, Jackson Yi Yang Qian Xi and Karry Wang Junkai. Out of curiosity and boredom I watched part 1 recently. As an animation fan, the computer animation was quite good! The only person that didn’t look like their real life counterpart was Yang Mi (actually I am a fan of hers but she looked terrible and her character was like whaaaat?!? Didn’t make sense at all...) and a few scenes where facial expression was off. 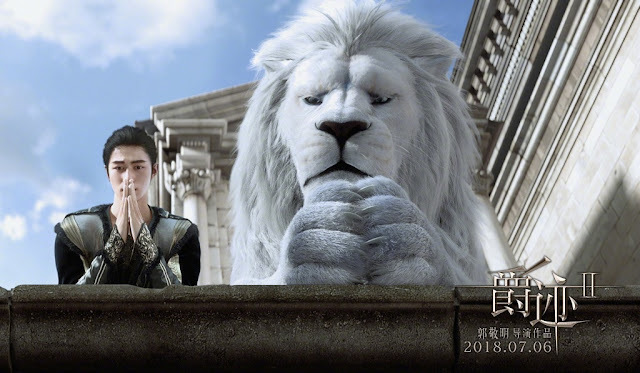 Kris Wu’s character stole the show and made him so beautiful lol!! I can see they are setting up his character and FBB - which doesn’t mesh for me. However the story need lots of work! I think it is a strong story but the way it was put together for this movie was weak and difficult to follow. I had to rewind and re-read and just go with the flow on some plot etc. The story of the movie was great. I am willing to watch the next part of the movie i really enjoyed and understand the story. Found this surfing on Amazon Prime by chance and now I'm eagerly anticipating a sequel. Like Veny, completely mesmerized by Silver and completely hooked on the story. I rewatched the entire movie after watching it the first time. Anyone know when the second movie is realeased? I am still waiting for the sequel because first one was really cool and the storyline is fantastic. I would want to get a copy of the book however I think it is not available in my country and it will be in Chinese. I've had this movie on my laptop for two years now and i never knew it would be so soul catching. Its so amazing but you need alot of focus to understand the whole story, with the names and all their parts. Please i can't wait for the part two, please i beg of you don't even think about selling out or stopping here because after giving us a mouth watery show y'all think its cool to just shut down. Any news on when the sequel will finally be released? I've watched part 1 already and seem pretty interesting.I didn't know the part 2 was out.Where can I find that part 2 and when did it exactly out? It has a great storyline and the animations too is doped! Silver has been soo far my #1 character! Please and please you guys shouldn't end the movie on the first sequel,I'm just waiting patiently for the next sequel. And if anyone knows the official release date for the next sequel please reply!